Okay, 2 days, 40 days; potato, potahto… But I hope you’ll agree the result is worth it! 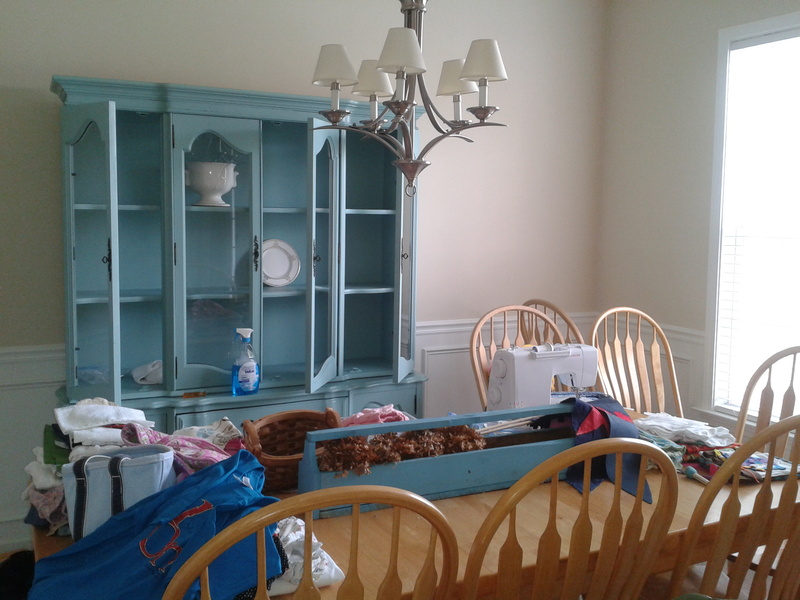 Here’s where we started, when I’d almost given up hope of finding the style I wanted on our almost nil budget, with a china cabinet from CraigsList… Jackpot! 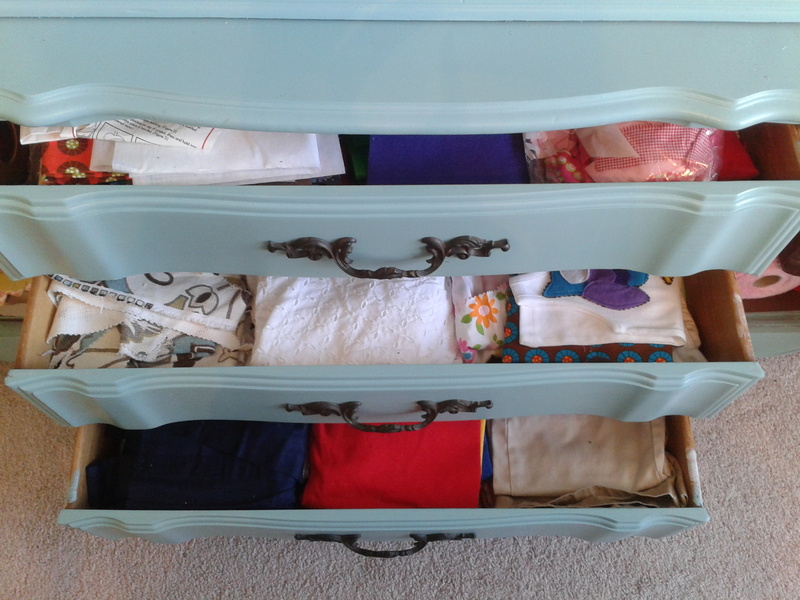 Next, we chose a color based on the fabric I fell in love with (some links to those posts at the end, if you haven’t seen them already). Okay [I know this might make me a little crazy, but] I just love it. 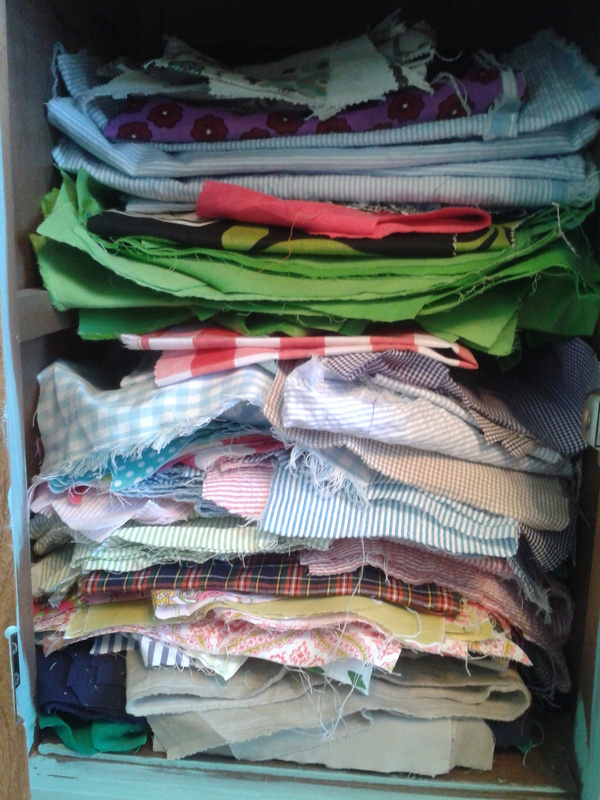 …oh, hmm, ahem… and more fabric… and sewing notions. [Well, at least I’m consistent!] 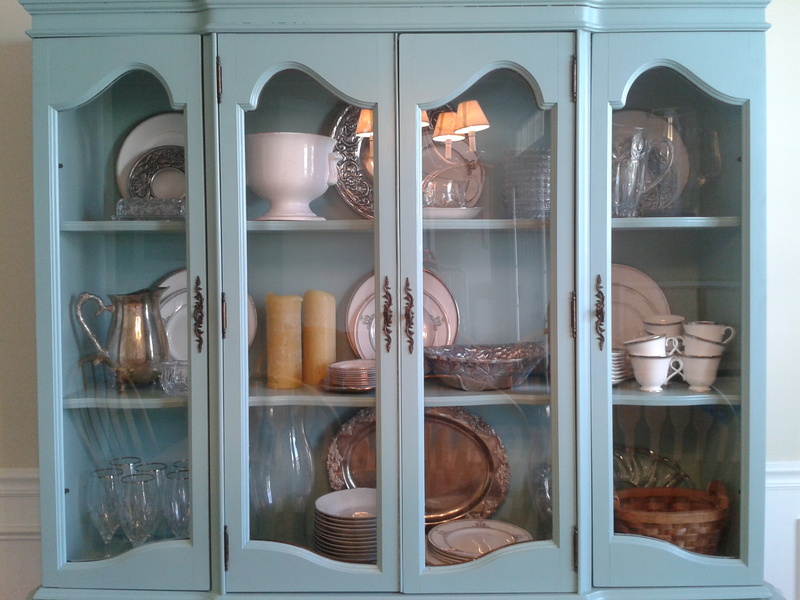 Since our dining room is where I sew, this china cabinet is perfect for double duty as a sewing cabinet too! And when arranging our formal china in the top, I kept it casual by avoiding too much symmetry, stacking the tea cups & several plates, and adding in a couple of informal pieces (candles and a basket). I think it has a nice asymmetrical balance with several nice little vignettes on the shelves… Of course, I might decide I hate it and change it all around again in a week, who knows! either way, I’m hoping we might actually use some of this china now, some that has been literally untouched since we got married many moons ago. 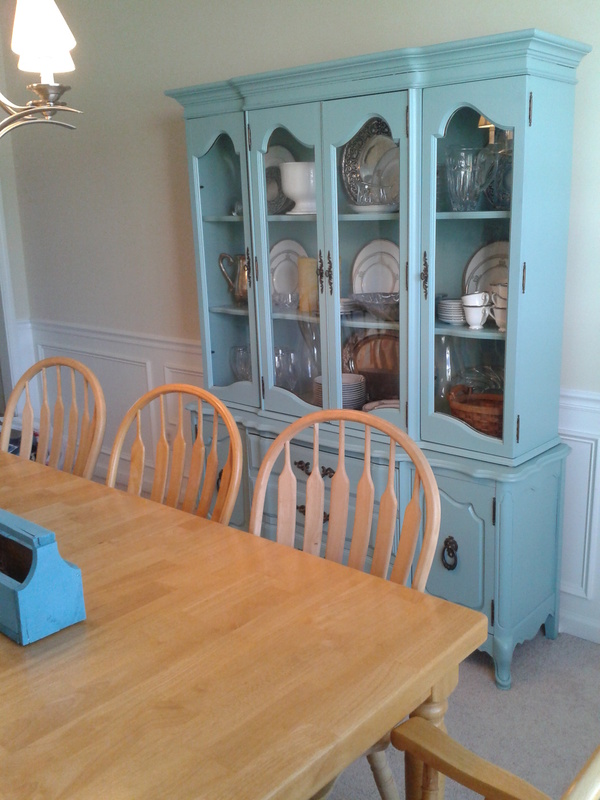 All in all I have to say I’m SO happy we went for it and painted this china cabinet a color. Our Mr. Neutral McNeutralson home is coming to life bit by bit! Wheeeee! So, anyone else out there ever taken a colored furniture risk? If not, are you going to now?! Love it. Looks terrific. Well done. Love it! 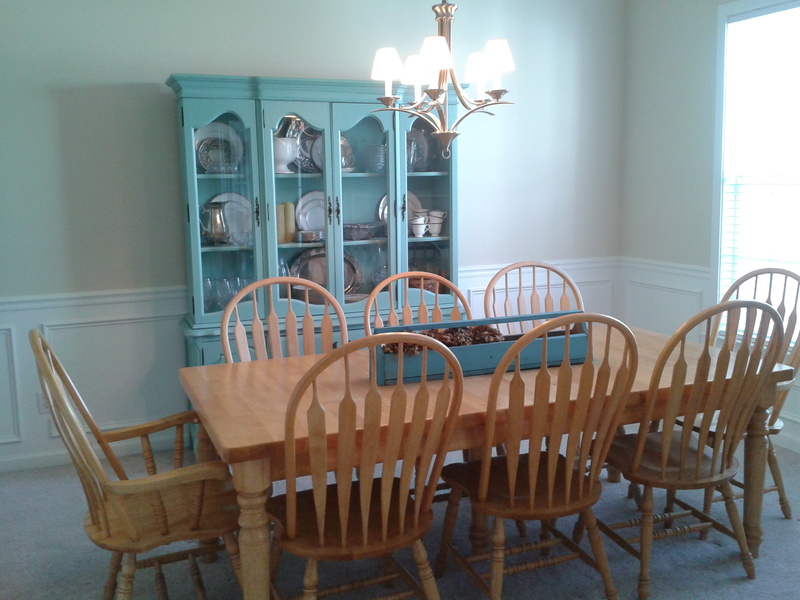 The first piece of furniture I painted was our old, old, old dining table. My great grandfather built it, but it needed a face lift. 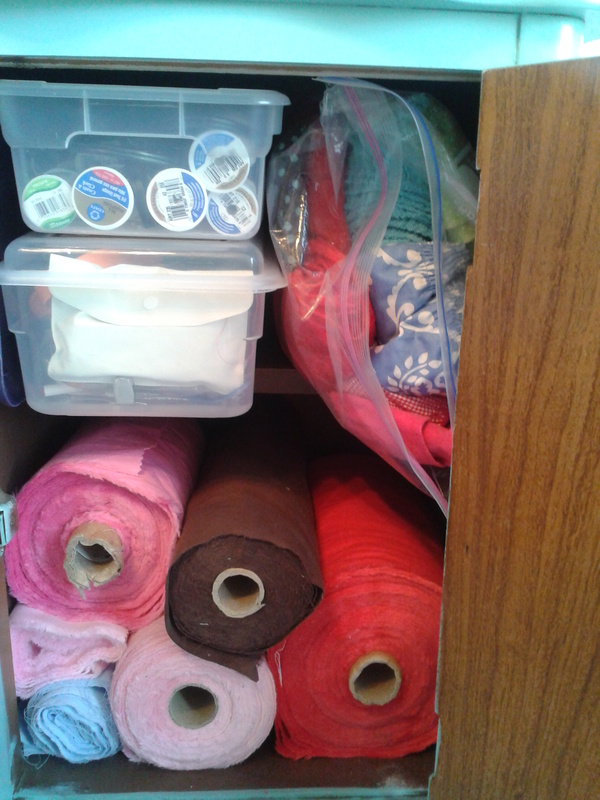 Did the curtains first, painted the table a deep red to match them. However that was a while back… It is needing some love… Wonder what color will be next? gina, how am i just now seeing this?!! 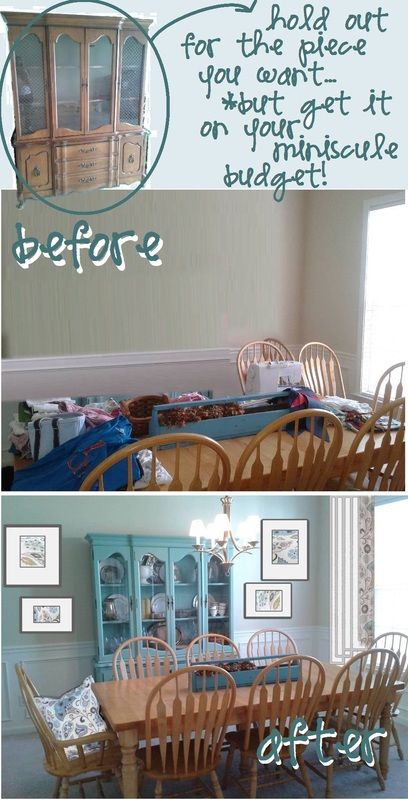 I’m sooooo excited for you and the color is phenomenal and i totally love the crafty storage below….you know i forgot to ask how much you got your cabinet for and am so proud of you for holding out for the piece you want!!! yay you!! 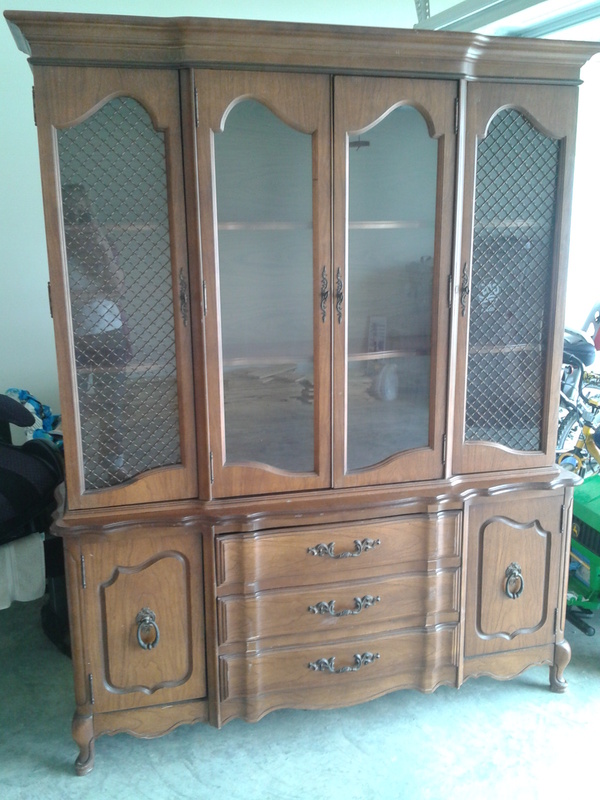 We ended up paying a lot (in my world): $100… but well worth it to get JUST what I wanted!!! 🙂 WHEEEEEEEEEE! I am the anti-sander!! Just clean it and go for it with a high-adhesion primer! WHEEEE! I love the end result. That is my new favorite color. I see it in a lot of magazines.